Terrific reporting here from the Capitol Report, a small publication that covers politics and policy in Minnesota. Minnesota state Rep. Carly Melin is trying to introduce legislation to legalize medical marijuana in the state, but she’s bumping up against some aggressive opposition from the state’s police agencies and law enforcement organizations, who have united behind a group called the Minnesota Law Enforcement Coalition. It may at first seem odd that police groups would so vigorously oppose medical pot. These aren’t medical organizations. They have no clear stake in the debate over the drug’s potential therapeutic benefits. According to the article, the police groups say they’re concerned about public safety, but we’ve been living with medical pot for nearly 20 years now, and there’s no empirical data to support the contention that legal medical marijuana brings an increase in crime. If you’re a fan of public choice theory, you might argue that narcotics cops may oppose any move toward legalization because a decrease in the demand for and supply of illegal pot might mean a decrease in need for narcotics cops to police it. And of course there will always be a supply of and trade in other illicit drugs to keep them busy. Read more via Washington Post The drug war’s profit motive. Swallow, not smoke: Does new form of medical marijuana have a chance this year? A strongly-backed amendment that would legalize medical marijuana in Florida will appear before voters in November. On Monday, the Florida Supreme Court approved the wording of the amendment to appear on the ballot during this year’s midterm elections, reports The Orlando Sentinel. amendment. 60% support is required for the amendment to be adopted. The amendment also has the backing of former Gov. Charlie Crist, who released a statement following Monday’s news. “This is an issue of compassion, trusting doctors, and trusting the people of Florida. I will vote for it.” Crist is also running for state governor this fall. The state Court decision, a slim 4-3 majority, marks the final hurdle in getting the amendment before voters.On Friday, organizers of the United for Care campaign confirmed they had gathered more than the required 683,000 voter signatures.Personal injury lawyer John Morgan has spent about $4 million to fund the campaign, reports The Associated Press. 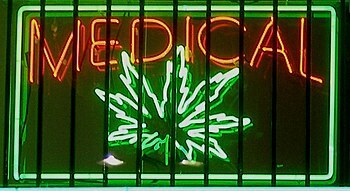 Read more via Florida Set To Legalize Medical Marijuana This Fall – Leaf Science. JERSEY CITY, N.J. — Seattle Seahawks coach Pete Carroll agrees with the notion that the NFL should look into medicinal marijuana as a means of taking the best possible care of its players. While not explicitly coming out in favor of it, Carroll answered a question about NFL commissioner Roger Goodell’s recent comments on the topic by making it clear he thinks it’s an avenue worth pursuing. 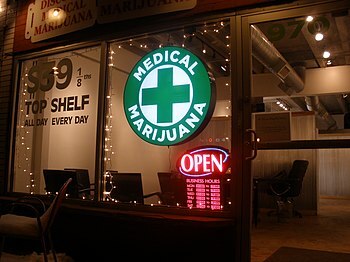 Medicinal marijuana is legal in 20 states and the District of Columbia. Washington is one of those states. Colorado and Washington recently legalized marijuana for recreational use. Read more via Pete Carroll, Seattle Seahawks coach, says NFL should consider medicinal marijuana to treat injured players – ESPN.